Today is Ella’s 11th birthday. Hours after her birth, my friend (and her pediatrician) came to our room to deliver the diagnosis of Down syndrome. 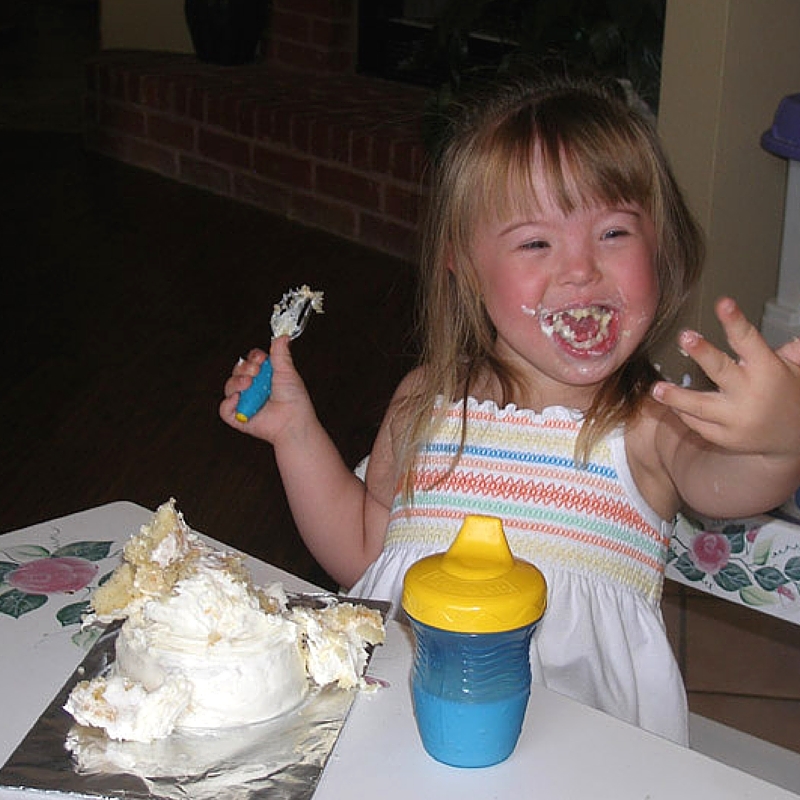 In that moment, I had very little clue what Down syndrome truly looked like. I had been around a few kids with the condition. But I don’t remember having seen any adult with Ds. 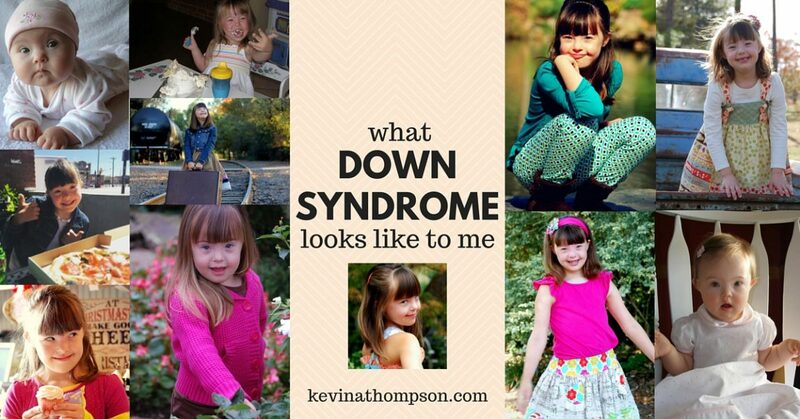 At the time, the mental image I had of Down syndrome was loving, but sad. It was kind, but dreaded. It was understandable, but radically incomplete. 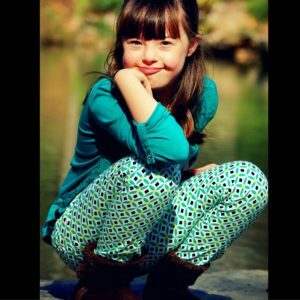 Eleven years later I have a different image of Down syndrome. 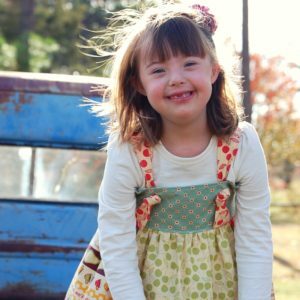 It’s an image that includes the struggle and challenges, but one which also understands the potential, humanity, and hope of every individual who is diagnosed with Down syndrome. 2. Beauty. Ds causes different facial features. It’s easy to focus on the features which are not considered beautiful by society and forget the positive features. 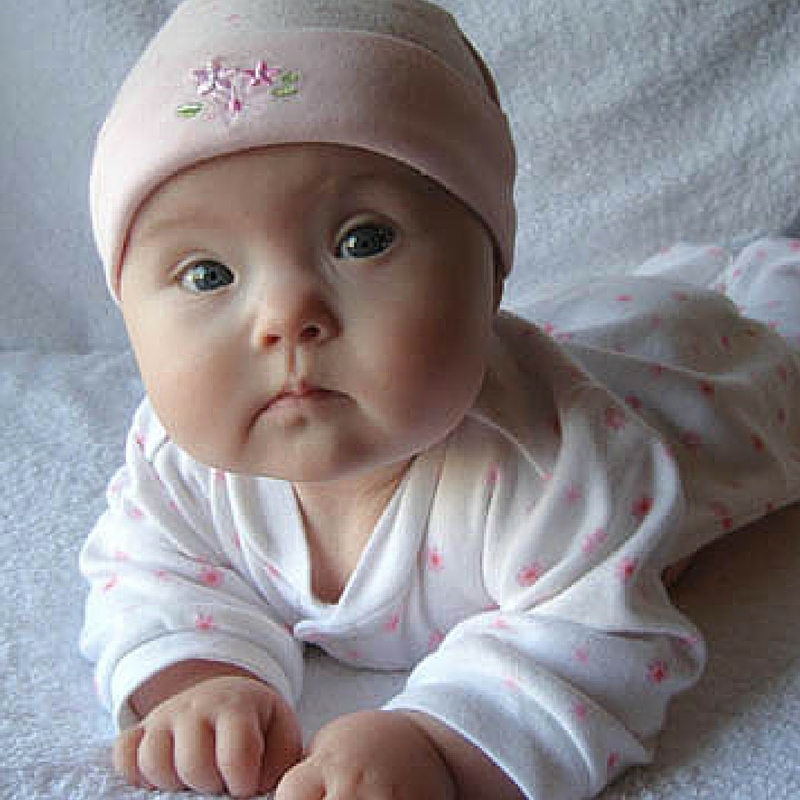 As a pastor who regularly visits newborns, I can always tell they don’t have Down syndrome because their noses look so big. Ella’s was small and beautiful. 4. Stubbornness. I keep reminding myself that in the long-run, this can be a great trait. In the short-term, it is challenging. Ella is stubborn, but that stubbornness also creates a sense of individuality, drive, and will. Our job is to make her stubborn about the right things–truth, doing right, justice, caring for others, etc. 7. Toughness. Down syndrome is often seen as a weakness. After all, it causes low-muscle tone and can lead to people getting tired easily. But when I think of Ds, I think of toughness. 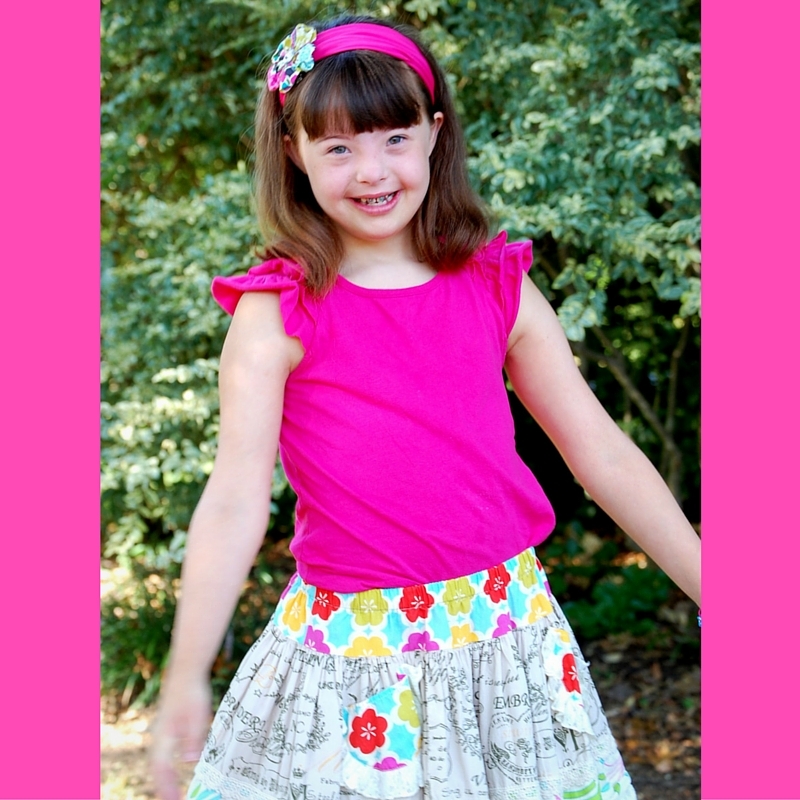 Ella has an ability to face far more challenges than most people, but keep on going every day. It takes more effort and energy for her to complete most tasks, but she gives up far less often than many people I know. 8. Pride. 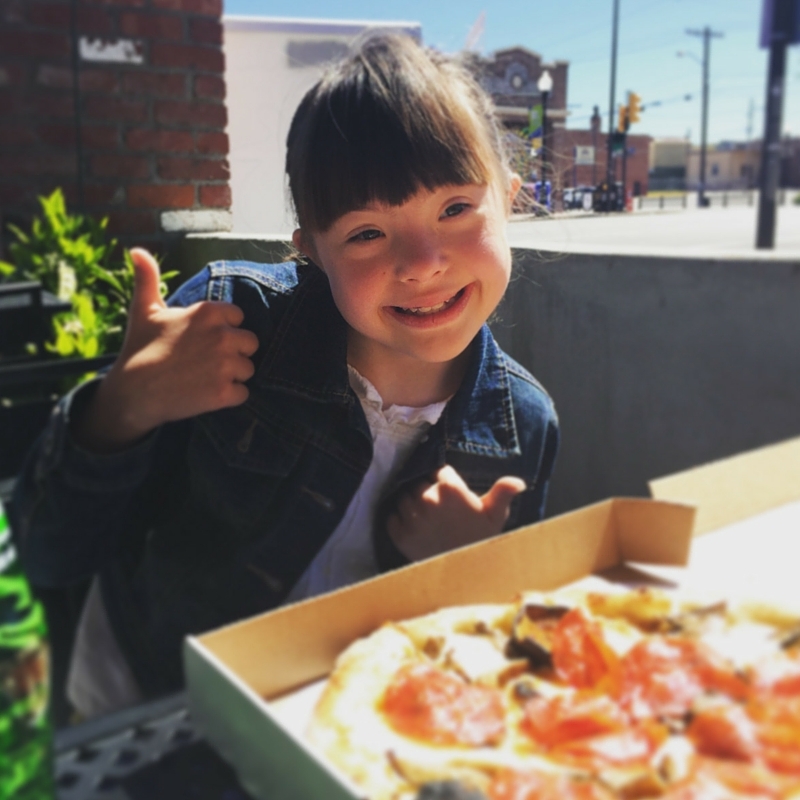 While accomplishments might occur slower for Ella, she takes just as much pride in each achievement (and her parents take even more pride than normal). It’s easy to mistake people with Down syndrome as having low motivation or desire. It simply isn’t true. Like every person, Ella takes pride in what she does. 9. Challenges. 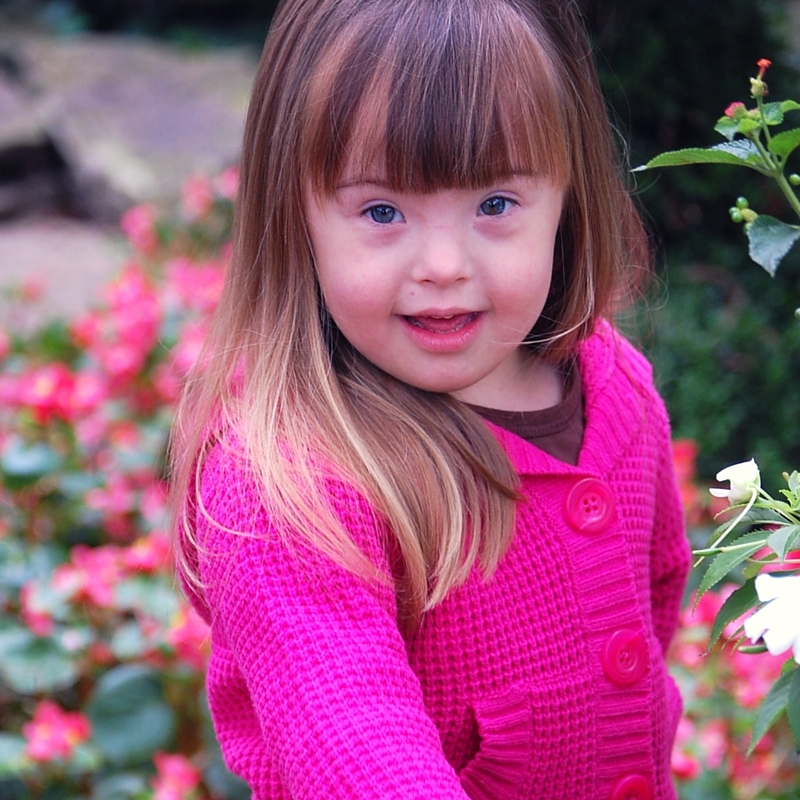 There is no question that Down syndrome has special challenges. There are aspects of Ella’s life I’ll never be able to fully understand. I have to continually remind myself that many things are harder on her than they are on me. Yet the challenges aren’t necessarily all negative. Like any adversity in life, with them comes the opportunity to learn and grow. 10. Dreams. The life expectancy of those with Down syndrome is less than the rest of the population, but it is far greater than it use to be. Knowing Ella will likely live a longer life than those born a generation ago, places more emphasis on her dreams for the future. She often thinks of what life will be like ten or twenty years from now. 11. Love. It’s a misconception that people with Down syndrome are the most loving people ever. Maybe some are, but Ella is not. She doesn’t quickly and easily give love or affection to others. But she does love fiercely once a person proves themselves trustworthy. This is what I see when I see Down syndrome. In the comments, wish Ella a Happy Birthday and tell her what she has taught you about Down syndrome. Happy birthday, Ella! I hope your special day was wonderful. Wishing you many more. A happy birthday, Ella! You have shown my family and I that the sky is the limit. You are everything we would like for Sloan to be! Hope you have a great day! Happy Birthday Ella! You’re a beautiful little lady…and so photogenic! I see the same potential your dad sees in number 3. Your parents didn’t allow misconceptions to limit you. I’m looking forward to watching you succeed and go far in life. Happy Birthday, Ella! I have met you once at your church, and I know your father and grandmother, Nan. I don’t see you in person often, but I see you on Facebook. I have seen you doing things like cooking and modeling clothes. You look so pretty and work very hard to be good at what you do. You have taught me that you like to do the same things that my daughters and granddaughters liked to do when they were your age. You have so many friends at school and church and on Facebook that are learning about how you and your family work and play and enjoy each other. Thank you and your family for teaching me so much about love and life. Even though I taught school for 30 years, you have taught me so many lessons about the things that you can learn and want to learn. Have a great Happy Birthday celebration! You are a star!! Happy Birthday Ella! You have taught me every person is an individual and special! Happy 11th Birthday Ella! Because of your dad’s willingness to share what your last 10 years have taught him, you – Ella – have taught me to never make assumptions of what the future holds in store for each of us. A big Thank you to you Ella. Happy Birthday Ella. I feel so lucky to have gotten to know you through your dad’s blog! You’ve taught me that in life, you just keep going – – learning, loving and even if life is frustrating at times, you just keep going. What a blessing you are to so many people. Ella is beautiful – that smile will melt any heart, she makes me smile just looking at them. Happy birthday beautiful soul. God bless. Happy Birthday Ella! I wish you the best day celebrating this special day with your wonderful family! I love your smile Ella, you are such a beautiful young lady! Happy Birthday Ella! You are so very special and have helped change the world simply by being you! Your parents are wonderful people and I know they are wonderful to you too. It’s neat to know that you’ve taught them as much or more than they’ve taught you. Keep smiling that beautiful smile! Happy birthday Ella. You can be proud of your accomplishments. Maybe you have to work a little harder than some others but keep going for the goal. Don’t quit because it may just be the very next try that will succeed. You are beautiful and the inner beauty is even more important than the outside. It shows through. Ella is one of the most naturally beautiful children I’ve ever seen. Thank you for sharing her with us. That’s beautiful. Ella’s beautiful, and spunky, and everything a girl should be. Thank you for sharing your heart. Happy Birthday Ella! Happy birthday Miss Ella. You sound like quite an amazing young woman. Cherish those near you, embrace your future and take no prisoners. Happy Birthday Ella! I loved your cooking show that you did with your mom! You are a great little cook! Happy Birthday, Ella! I have loved reading about you and watching you on Facebook. 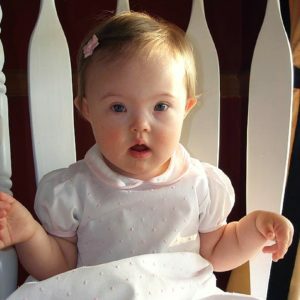 When my niece was born a few years ago with DS I was able to quickly share what I knew about you and your great parents! And … Her name is Elise and her big sister is Ella!! Thanks for being a great example, Ella! Happy Birthday Ella! 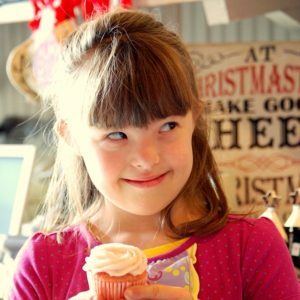 You have taught me that Down Syndrome will not prevent you from following your passion. And thank you for sharing your love of cooking with us! Hello Ella! Happy birthday to you! You don’t know me but I feel like I know you. I love to hear Ella stories at church in Van Buren. I have also watched your cooking videos and am very impressed with your charming manner. You are a gift from God and many people that you don’t even know love you to pieces and wish you all the best! I hope you can blow out those candles and get your special birthday wish! Happy Birthday Ella! I love your “how to” and cooking videos. Keep those up because I need all the help I can get in the cooking department:). You are a very lovely young lady and so blessed to have the parents God has given you! Happy birthday, Ella!! You are such an inspiration to everyone. I love seeing your cooking demonstrations and hope to get to sample your food some day. You are one amazing girl!! Ella, i feel priviledged to have been on the periphery of your life and to watch you grow. You have taught me a true meaning of “God makes all things beautiful in His time.”He not only created you beautifully, He’s blessed you with talents and abilities and has led you to be a true example of His love and provision. God bless you Ella! Happy Birthday!! 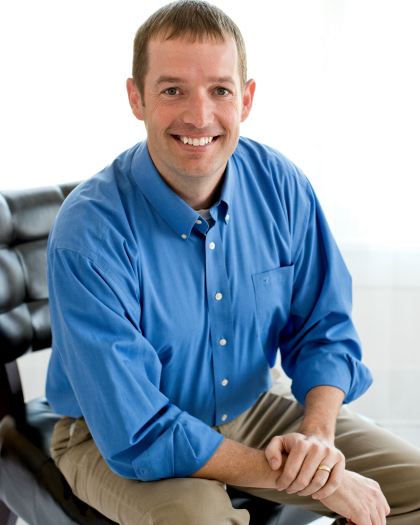 We love your sense of humor and kindness to our family! Hope you have a fun day!! Happy Birthday Ella! You see because you are older and have made your cooking videos and your Dad shares your story, you have helped me know comfort in how great my little grandson Cash’s life will be. Thank you for sharing your accomplishments. Wow… First of all, Happy Birthday Ella. I learned that you are very loved by your Dad and that through his eyes he let us all know some of the trials you and your family have living with Ds and also some of your unique personality. I love the pics of you and your sassiness and prettiness shine through showing a lovely young lady with a bright future.